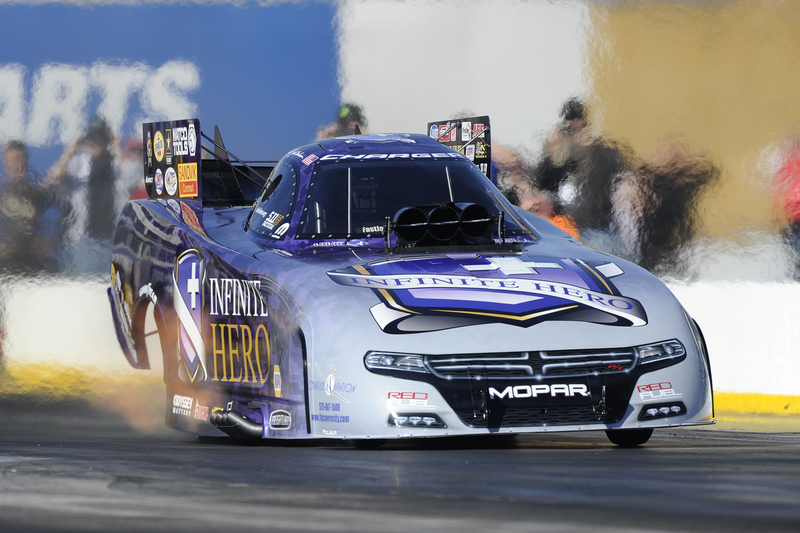 The highest level of drag racing, known as Top Fuel, is unlike anything else on the planet. The two main classes are Dragsters and Funny Cars, both of which use engines pushing out over 10,000hp allowing the cars to accelerate from a dead stop to over 300mph in around 4 seconds or less. Now until you witness this firsthand there is literally no words in the English language that can really do it justice. If you are standing anywhere within a hundred yards of these cars taking off, or even doing a burnout, you literally feel the sound not only hear it. 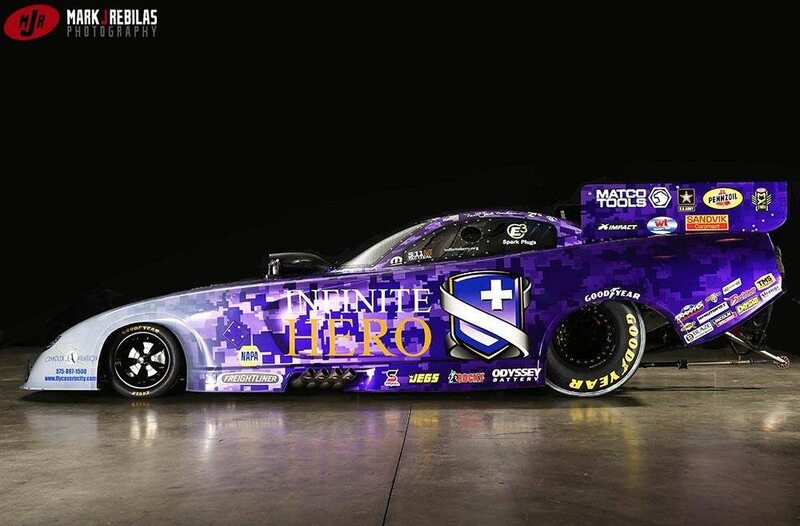 They are called Top Fuel because they use straight Nitromethane to power these incredibly powerful cars. 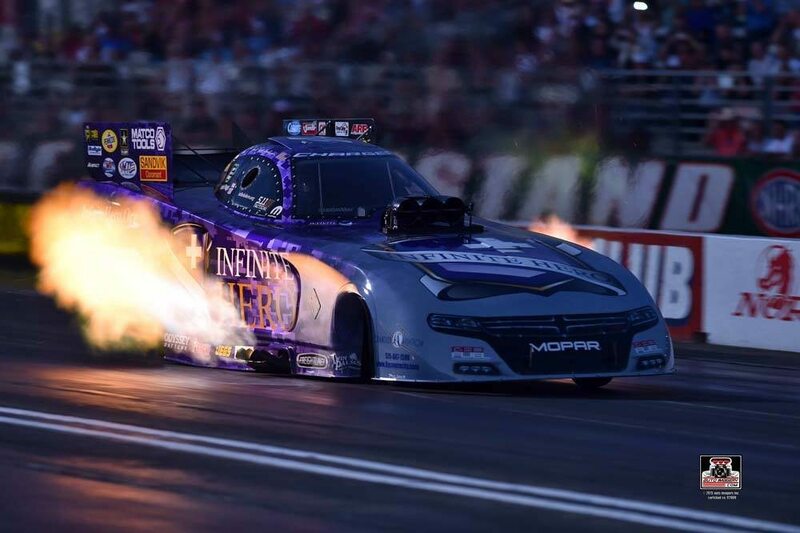 Most drag cars use a nitrous injection to add horsepower but run on regular race gas, these cars run on straight Nitro hence being able to produce over 10,000hp. Most people think these cars still compete on a 1/4 mile track (1320 ft), but back in 2008 the NHRA shortened it to just 1000 ft because the cars were simply getting too fast. 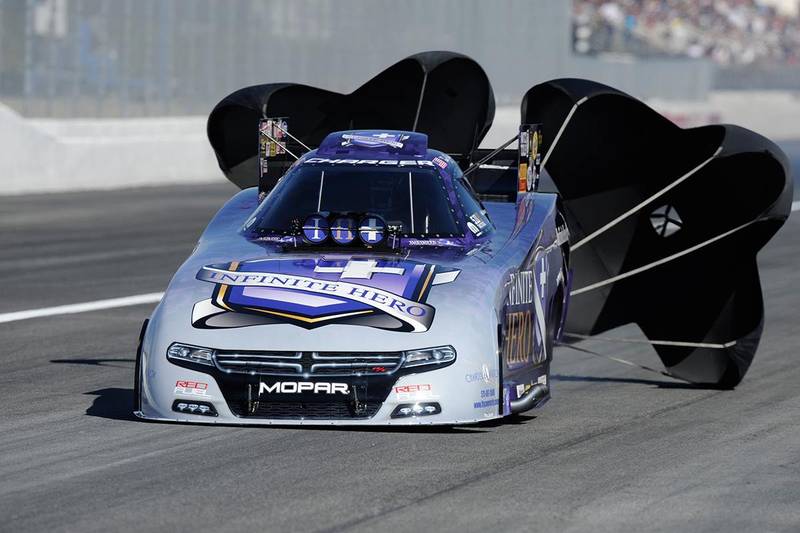 This last weekend at the New England Drag strip 2012 NHRA Champion “Fast Jack” Beckman lined up on the third round of the qualifying runs just like he had numerous times before. As he took off and got to about the 1/8 mile mark there was suddenly a massive explosion that blew the entire fiberglass body off the car and completely destroying the engine. Thanks to major advances in safety equipment and strict safety ruled held by the NHRA, Fast Jack was able to walk away unharmed. Apparently once the body is ripped off the parachutes are automatically activated which helps slow down the car. Beckman said that after the engine exploded his face mask was completely covered with oil so for a split second he was blinded. It’s interesting that even though the whole run is over in less than four seconds, and in this case the explosion happening in just a fraction of a second, yet Beckman was still able to recount the entire process in detail as far as what he was trying to do when all this was happening to keep the car going straight and not into a wall, or worse another competitor. This is a video shot from he perspective of sitting in the drivers seat for one of the most ferocious four seconds of your life as Beckman is doing test passes reaching speeds over 300mph.